Whether waking up early to catch a sunrise or heading out for a day on the water, sometimes you just need a little jolt of caffeine to get your day started. In the summertime, we’re all about trading in a hot cup of Joe for a cooler model. From classic iced lattes to coffee-infused smoothies, here are some of our favorite cold coffee drinks for a summer morning. Operating out of a charming 1919 cottage in the Pungo Agricultural District, The Bee & the Biscuit is a Virginia Beach breakfast staple. With a menu as tasty and creative as theirs, it’s no wonder they have the iced coffee to match. 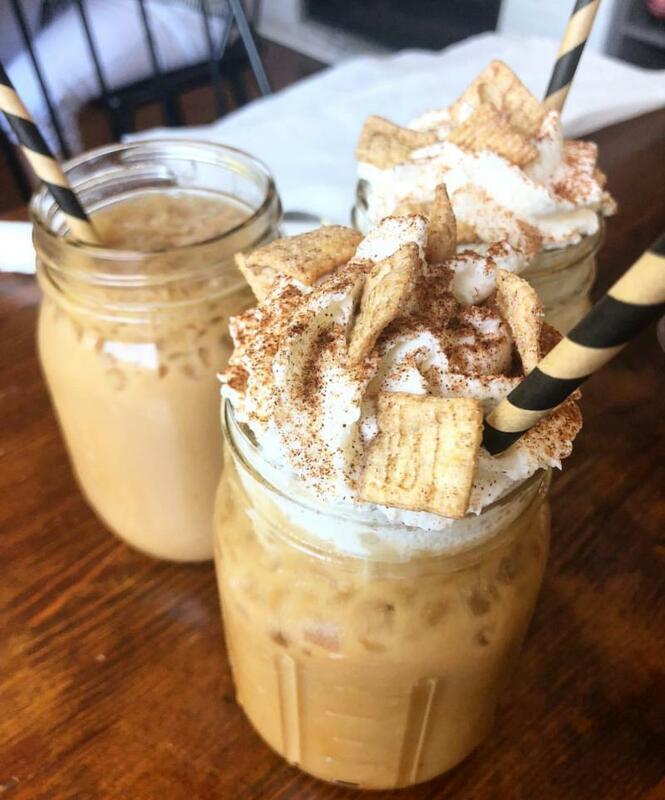 With new flavor creations, like Cinnamon Toast Crunch, Hazelnut Vanilla, and Mocha Coconut, coming out virtually every day, you can’t go wrong with any of their iced lattes. 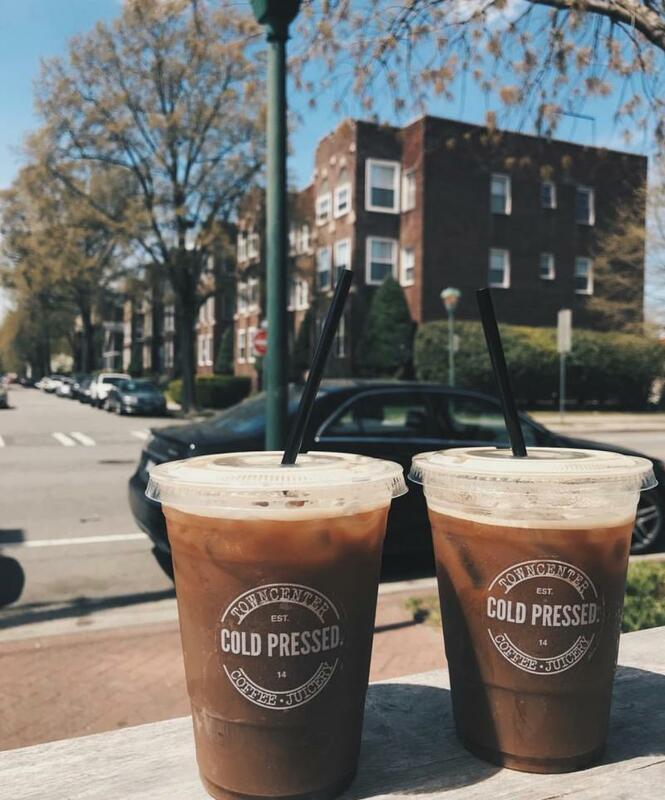 The Central American Series of Nitro Cold Brew coffee, at Town Center Cold Pressed, is definitely something any coffee fan needs to experience. With roasts such Panamanian Blonde, Guatemalan Medium, and Honduran Dark on tap, with tasting notes ranging from brown sugar and cinnamon to lemon drop and apple, there’s something for everyone here. You can even bring your own Growler and take some to go! Operating out of Hilltop in the Oceanfront area, this smoothie is as delicious as it is filling. It’s coffee and breakfast at the same time. What could be better than that? 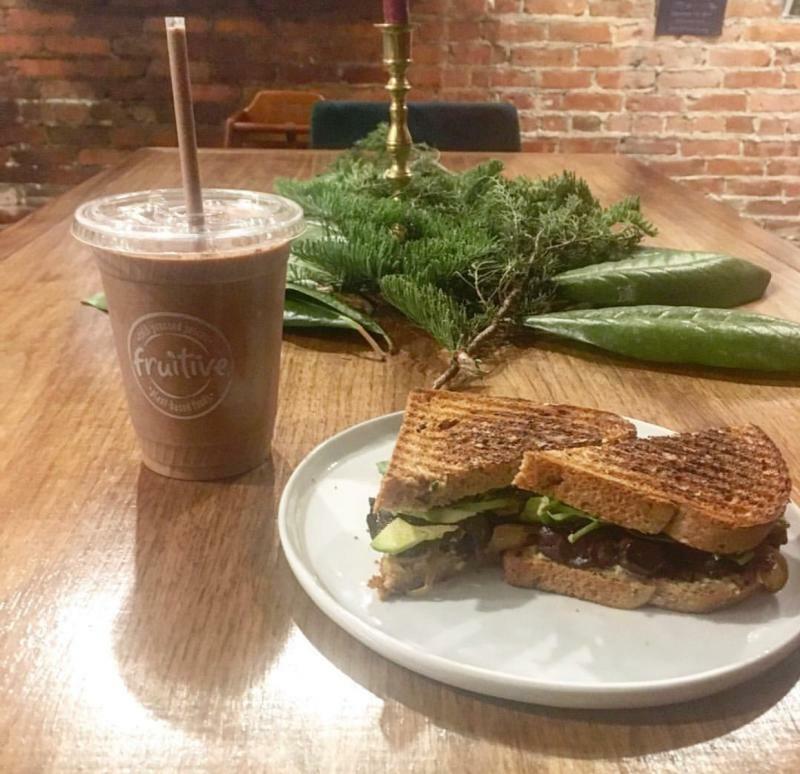 Fruitive blends cold brew coffee with Brazil nut milk, banana, peanut butter, raw cacao powder and maple syrup for a healthy start that will give you the energy you need to take on a day at the beach. 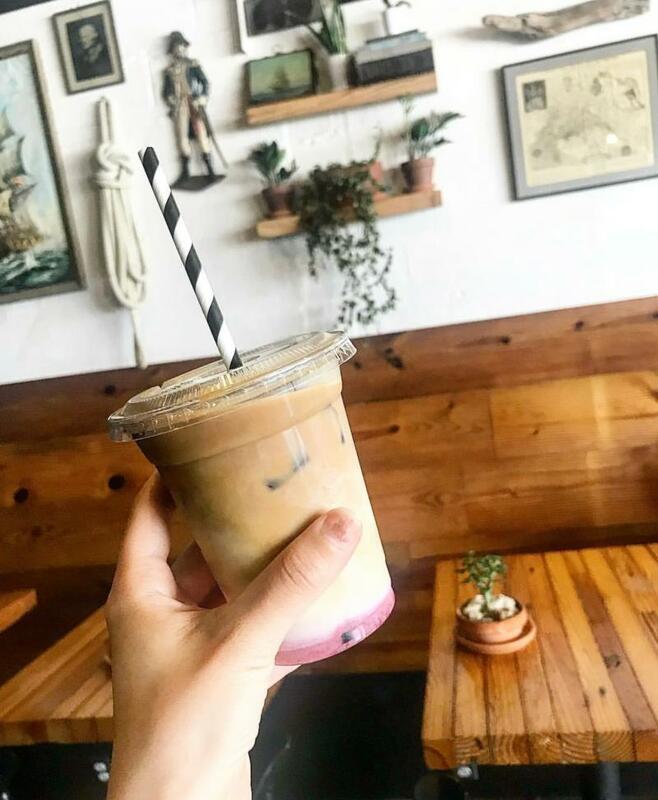 Three Ship’s Pungo Latte is classic iced latte made with their delicious house-roasted coffee and sweetened with seasonal berries, like strawberries or blueberries, that come straight from Pungo. This is one you have to try when you find yourself in the ViBe Creative District. Grab a hand pie before you go, which come in both sweet and savory flavors, like ham and cheese and Nutella. 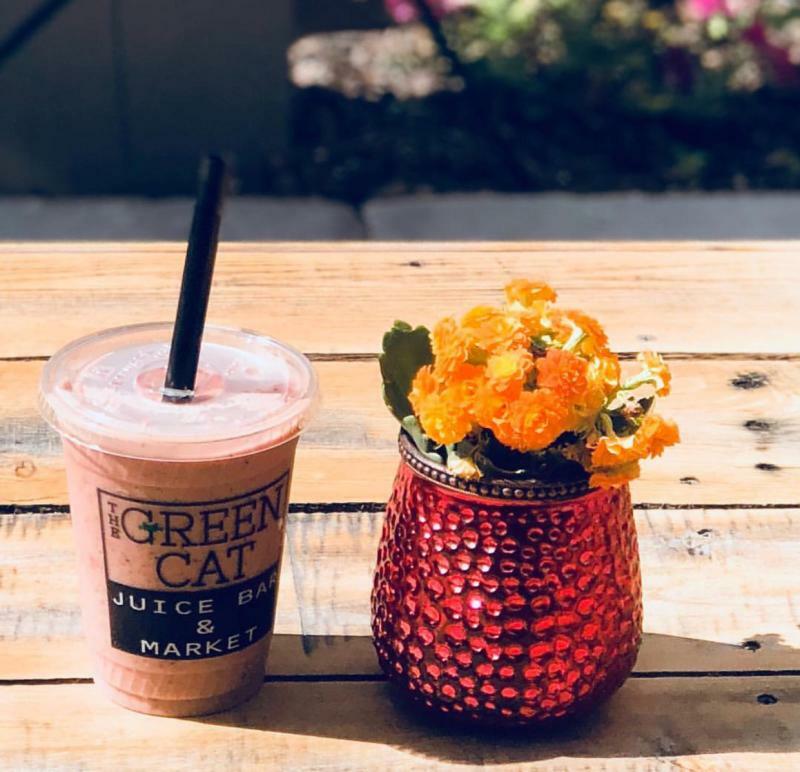 The Green Cat, located at the Oceanfront, is one of our favorite smoothie spots in town, so it’s no wonder we can’t get enough of their Facelift Smoothie. With banana and coconut oil blended in with the coffee, this smoothie has everything we need to get our day started the right way. 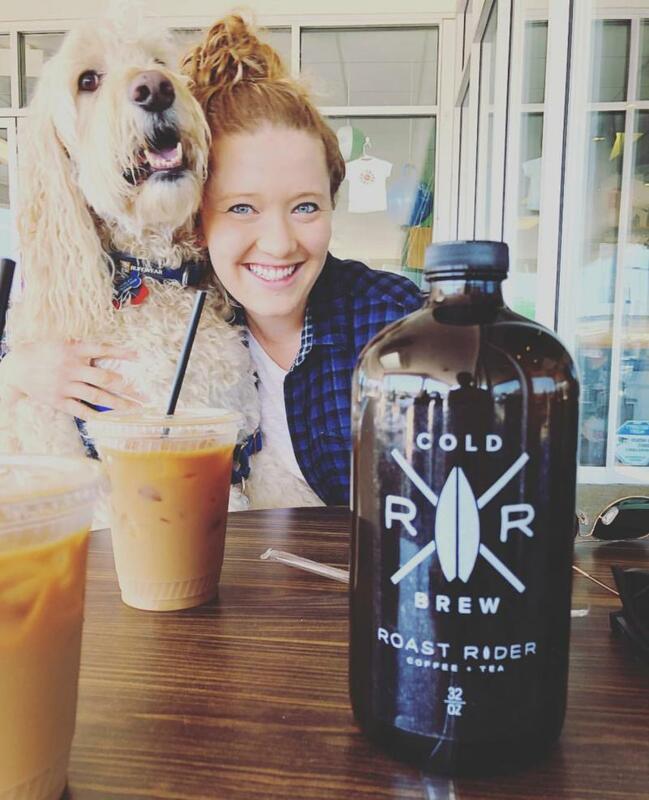 Hilltop’s Roast Rider Coffee roasts their own coffee in house, so we like to keep it simple here. The iced latte, with a little cream and sugar is as good as the perfect refreshing pick-me-up for a summer morning.